Douala Make no mistake. Any notion that Cameroon is a democracy is the same as believing that an obstacle course is the same as a straight road. Yes, there are parties. Yes, there are elections. But, there is no even playing field, so whatever one might want to call this form of government, no matter how you shake-and-bake it, there’s nothing particularly fair about it. It is no surprise that the existing president has been in office for more than 34 years, is 84 years old, and is expected to stand for another seven-year term in 2018. We spent some time early in the Organizers’ Forum in a visit with Phillipe Nanga, the head of Un Monde Avenir, the World to Come, a fair elections NGO, and his staff, who gave us a good sense of the problem and a crash course in the election obstacles and voter suppression. 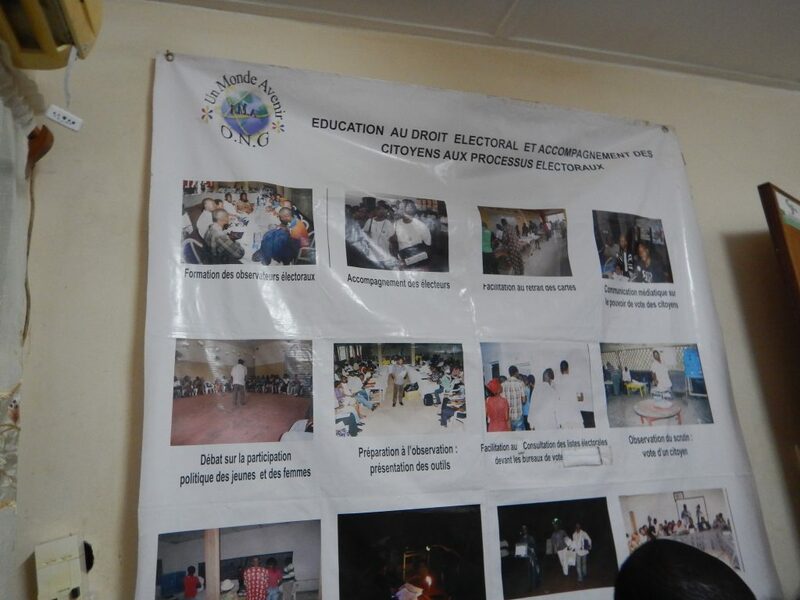 They work closely with Elections Cameroon, called EleCam, a state agency that is responsible for registering voters. There is nothing easy about voter registration. I’m not saying that they invented difficult registration, but I will say that the system is reminiscent of the process used by many southern states even at the dawn of the 1970’s in the USA. A graphic illustration over his head went through their steps of training election observers down to protection of the ballot box. I asked Nanga if ballot box theft was common, and he answered without hesitation, yes. To register you either have to personally go into the EleCam office nearest you and successfully present your documents or someone employed by EleCam has to somehow come to you in a meeting, rally, market, or some such. 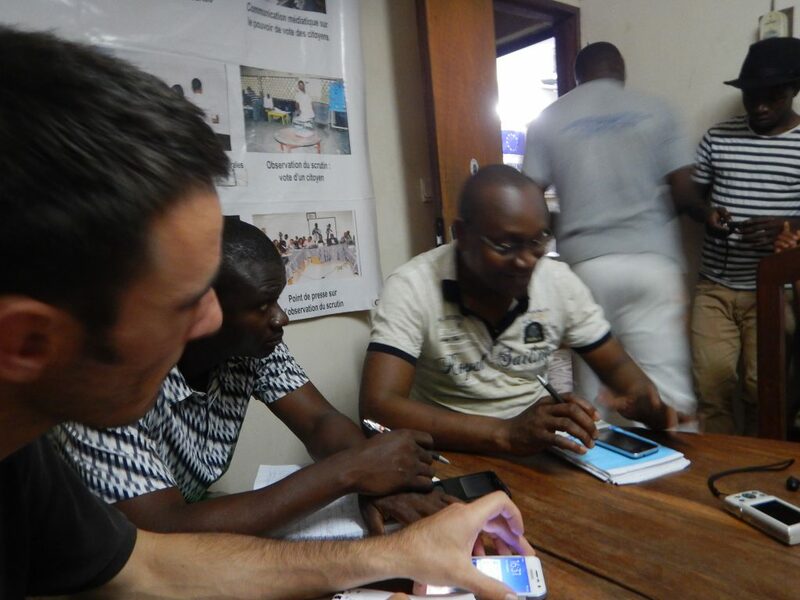 The reason EleCam is a good partner for Un Monde Avenir is that they are on a quota for registrations by the government so anything that is organized for them, makes their jobs easier, and allows them to keep their jobs. Voting of course requires an ID, but a national ID is required to do everything in Cameroon, so that is not an obstacle here since everyone has one. More than half of the population is under 19 years old, so, not surprisingly, you cannot register to vote until you are 20 years old. Un Monde Avenir has been focusing on registering youth. We were told by their staff that they had registered 100 people so far this year. Of the 23,130,708 people in the population as of June 2015, 5, 981,226 were registered. There are no accurate figures but a solid estimate would mean that between 40 and 45% of the eligible voters in the population are not registered to vote: a very large voting pool! When those who are successful in registering are allowed to vote, a fair number do so. 68% of the eligible voters in fact did vote in the 2011 presidential election, the last time they had a chance. We spoke to two leaders of parties in Cameroon, one was the leader of the largest, Elembe Lobe Abel. His party, SDF, has close to a score of national parliamentarians in each house and more than 800 local office holders in the country. I asked him how he saw his party’s prospects in the election expected sometime in 2018. He answered that for any opposition party to have a chance, the constitution would have to allow for a runoff. The winner is now “first past the post,” which always favors an incumbent. He felt the only way anyone would have a chance without a change in the no-runoff election would be if the existing president somehow declined to run. Interesting to the Forum delegates was Abel’s description of Bollore as a criminally, corrupt corporation in Cameroon. 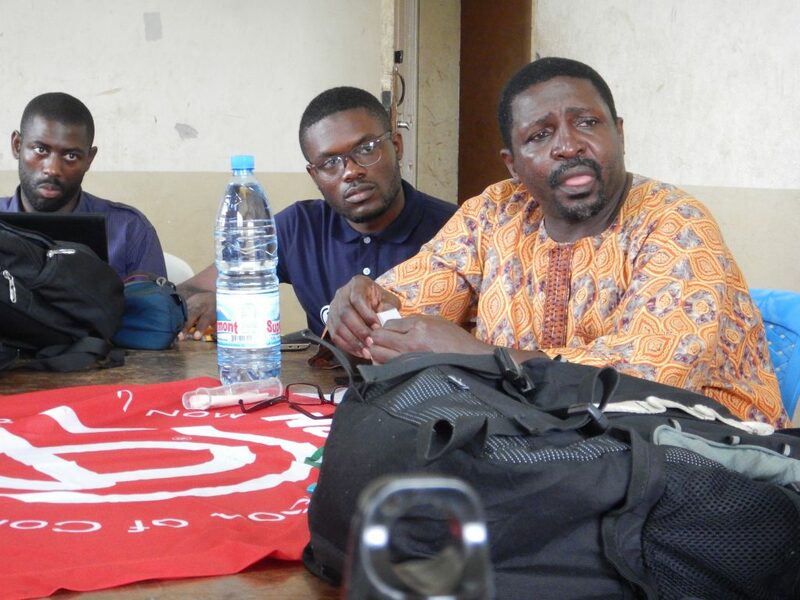 We also spoke to the dynamic head of another large party CPP which is also interesting in that it has a political, but nonpartisan operation called Cameroon Obasso or Cameroon Let’s Go which operates almost like a community organization with various marginal populations. 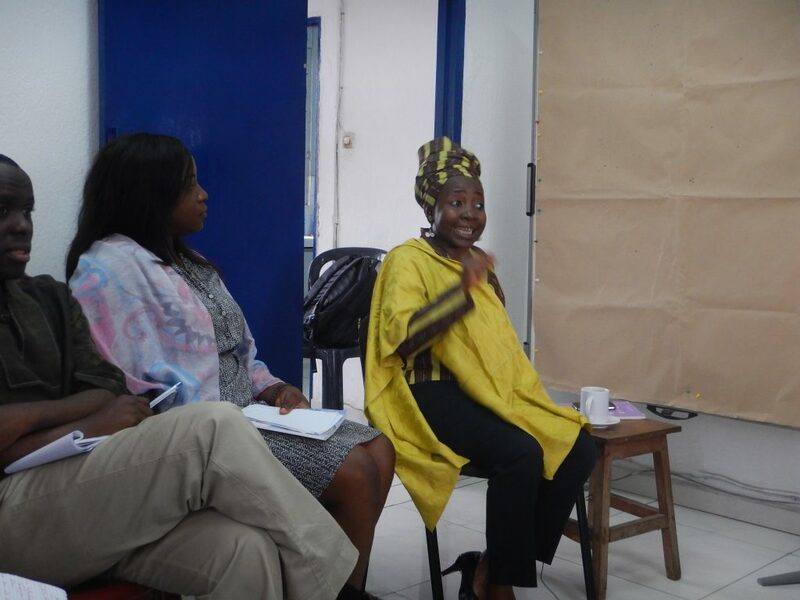 They are also part of an amalgamation called Stand Up for Cameroon, which has attracted wide support. She had run for president in 2011. She was more focused on the transition or, said another way, the inevitable death of the existing president, when the country would have the opportunity for change. There are hundreds of parties in Cameroon. The law also prevents them from fusing or cross endorsing, so each is on its own in the fight for democracy against great odds in Cameroon. This entry was posted in ACORN International, Organizers Forum, Organizing and tagged Cameroon, Cameroon Obasso, CPP, democracy, Douala, EleCam, elections, Elembe Lobe Abel, Phillipe Nanga, SDF, Stand Up for Cameroon, Un Monde Avenir by Wade. Bookmark the permalink.